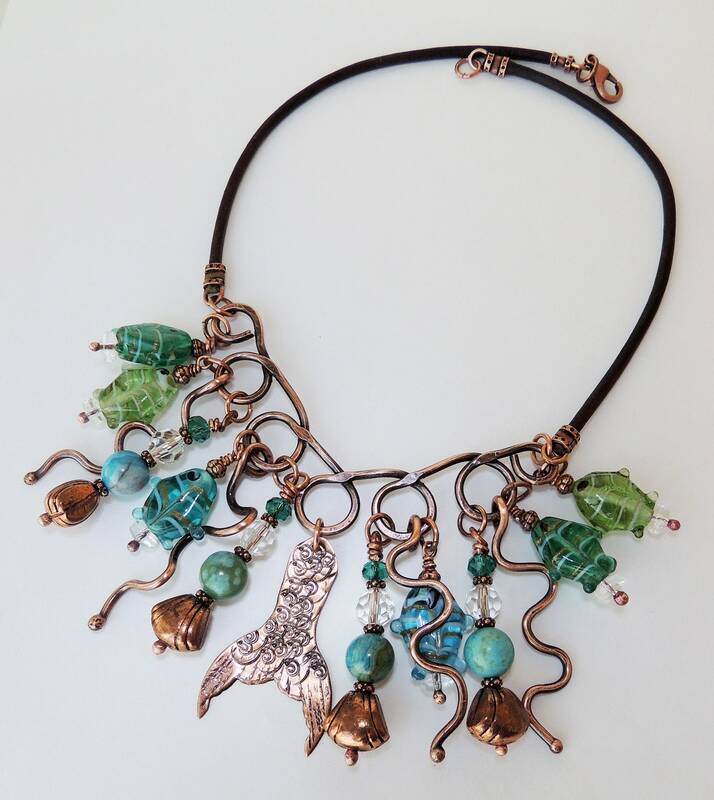 This sparkling statement necklace begins with Glass fish all in the blue/green colors of the sea. Each glass fish measures one inch in length. 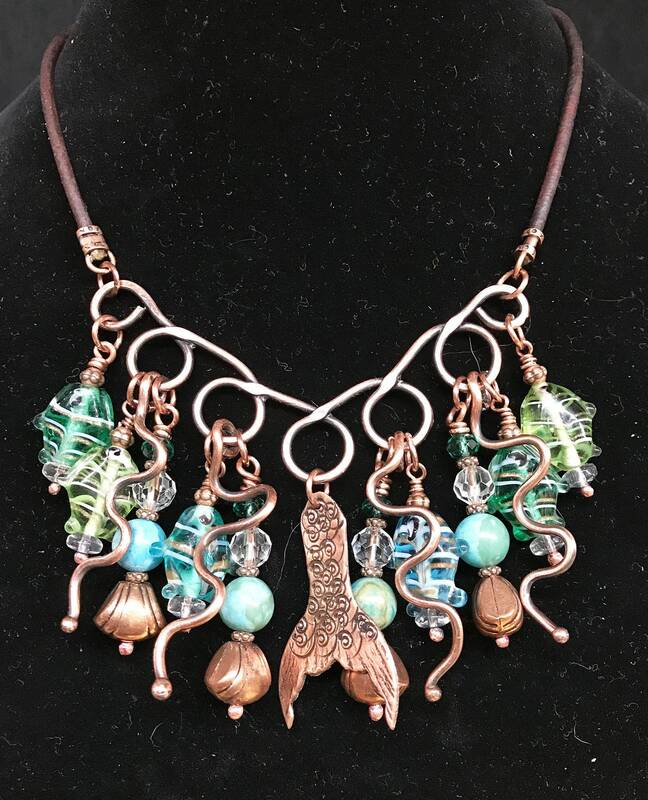 I then heated and twisted wire which dangles amongst the fish along with blue/green crazy lace agate beads and glass crystals. 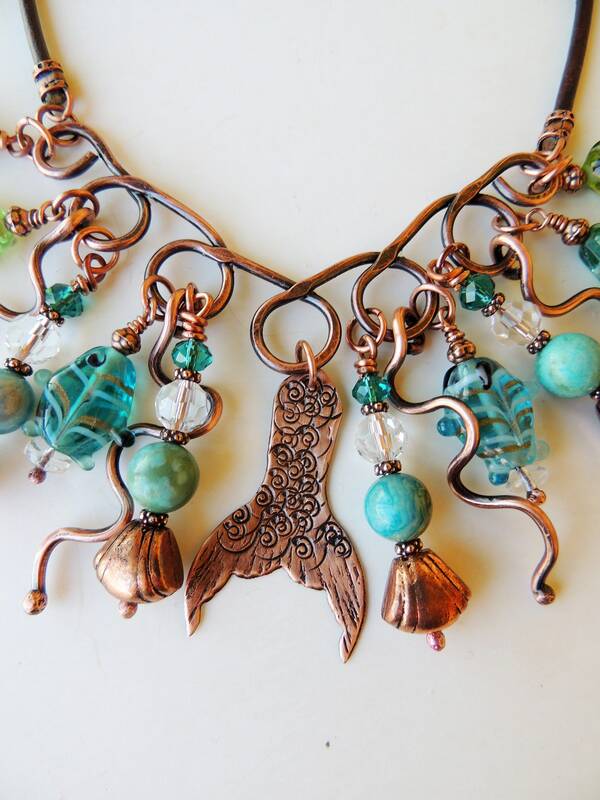 The mermaid tail has been hand cut and textured and given an oxidized patina as well as the copper bail. It measures 2 3/4 inches long. I then added 3 mm natural brown leather cord. 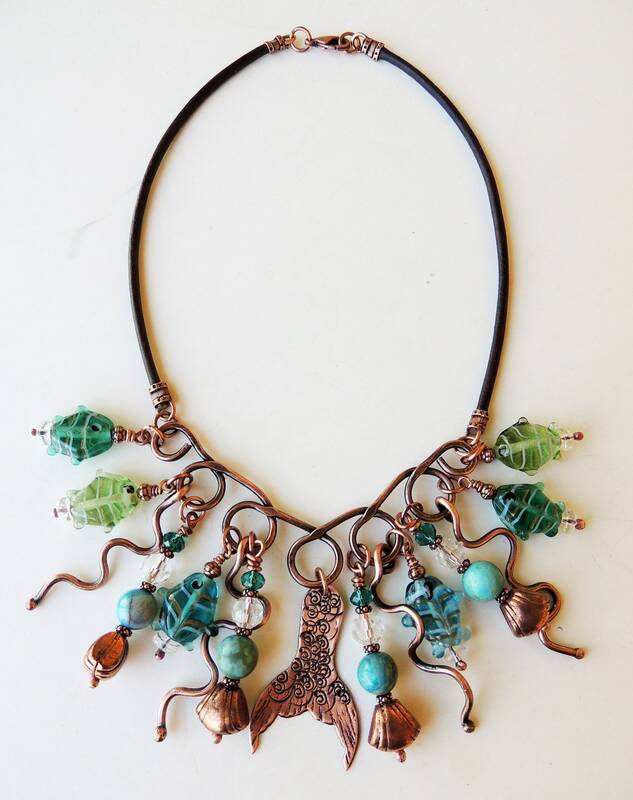 This is sure to be a summer favorite.